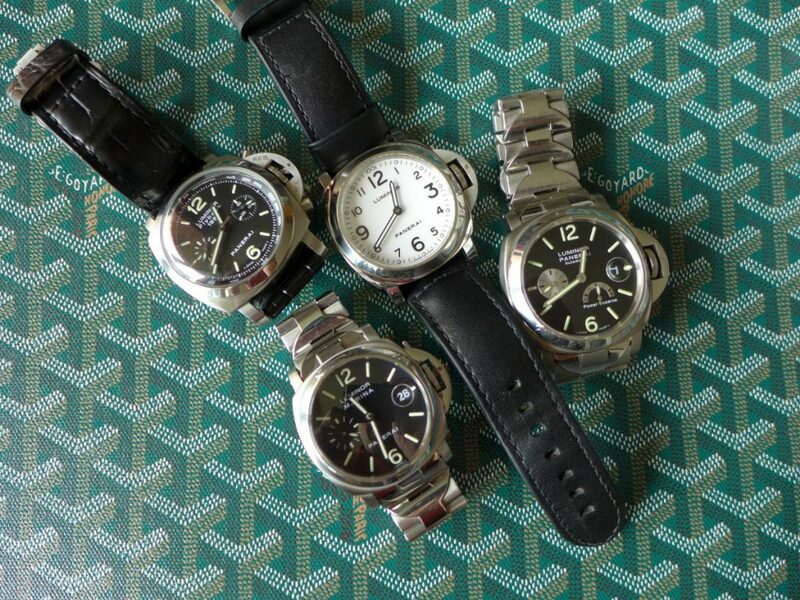 Panerai Fest a Small collection !! 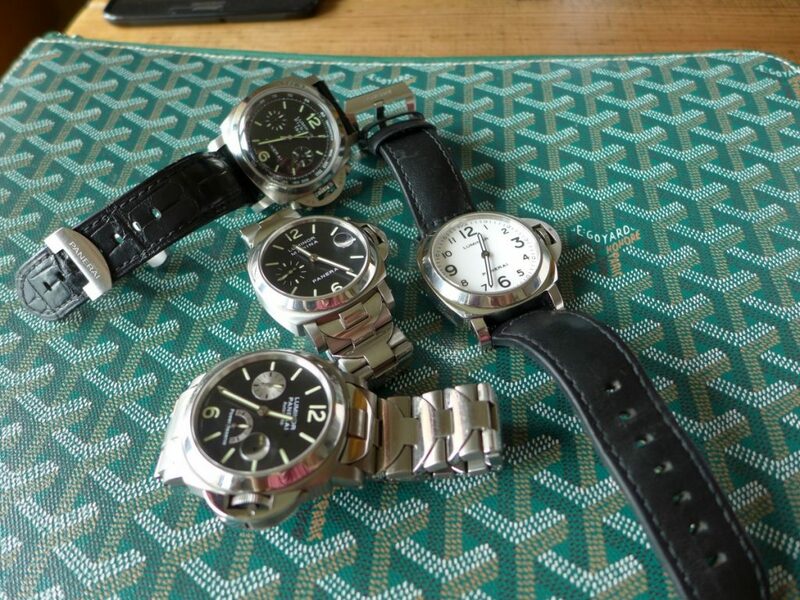 A small collection of Panerai watches I have always liked Panerai’s they are a great versatile piece, which are a nice chunky watch do not tend be small by any means. 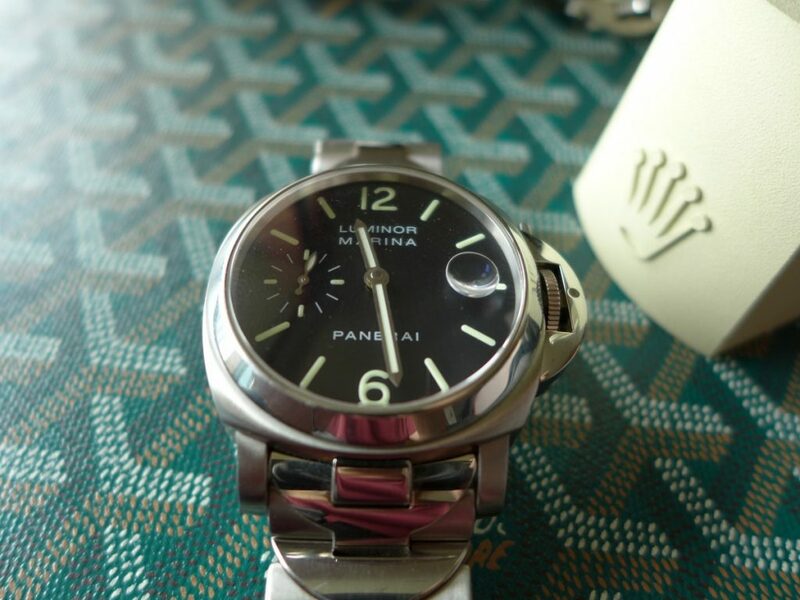 The striking feature of the Panerai luminor range is the Luminosity on the dial of the hour markers and numbers. The group picture of them all together! 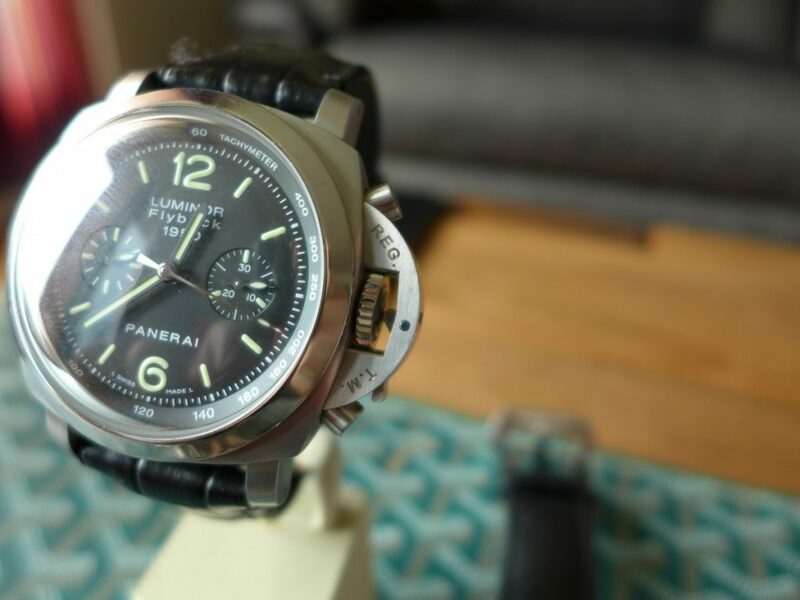 The first one in the collection is Panerai Luminor 00212 1950 Flyback Chronograph is great watch 44mm case but wears a lot bigger, it has the 1950 style Panerai case with the in-famous crown guard that is Panerai’s trademark and very distinctive. 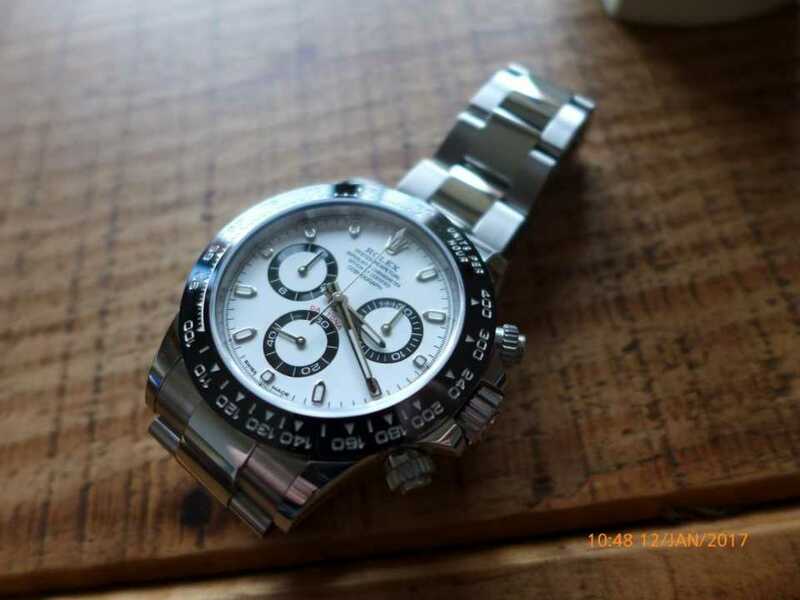 The glass is domed and is just looks stunning and has a tachymeter on outer inner dial for measuring time to speed on the chronograph when doing lap times. 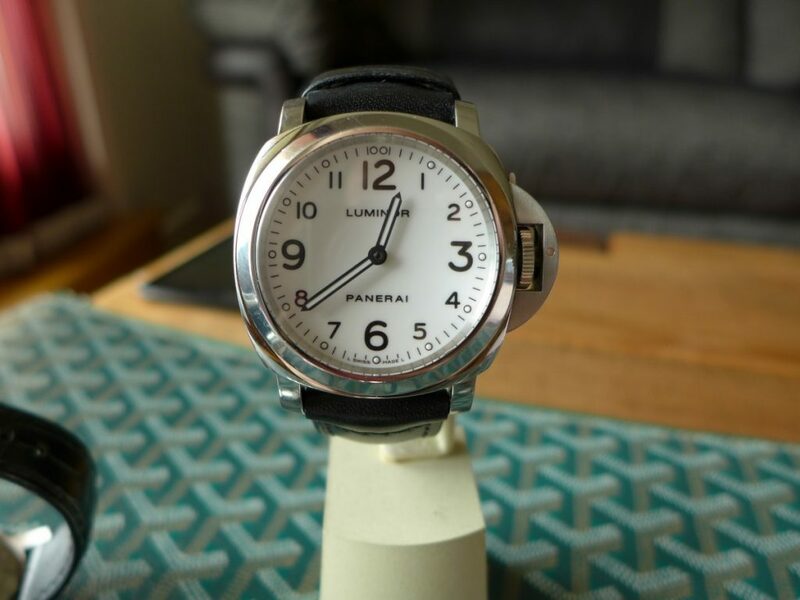 The flyback function allows you to start the chronograph stopwatch going and with the lower button which normal resets the chronograph back to 12 it allows split second multiple timing. 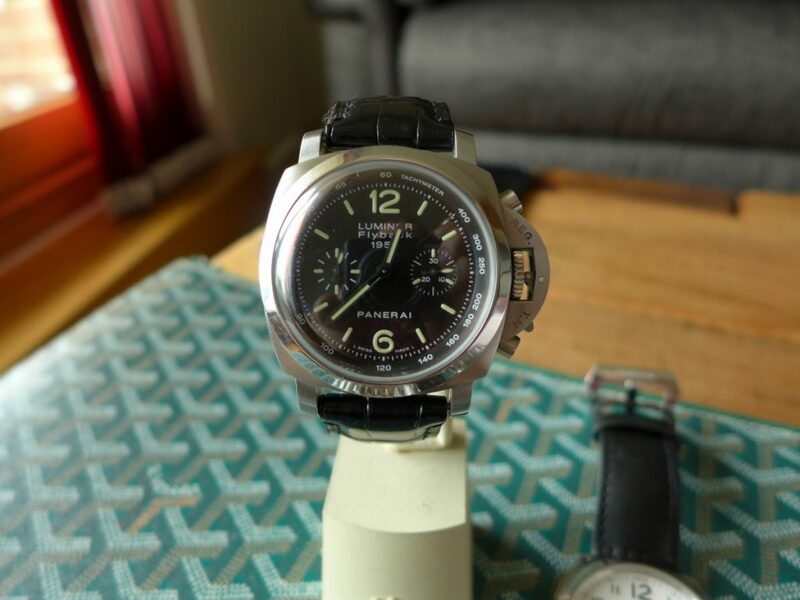 This model is water resistant to 100m all the other ones in the pictures are 300m as most Panerai’s are. 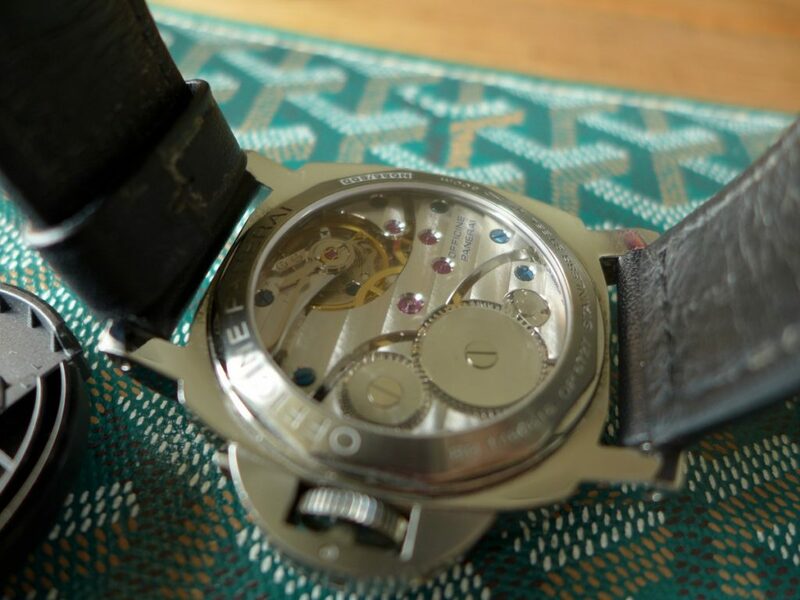 The see through case back with Panerai’s beautiful in house Automatic Cal OP XIX an absolutely stunning piece overall with Panerai’s easy strap changing system on deployment. 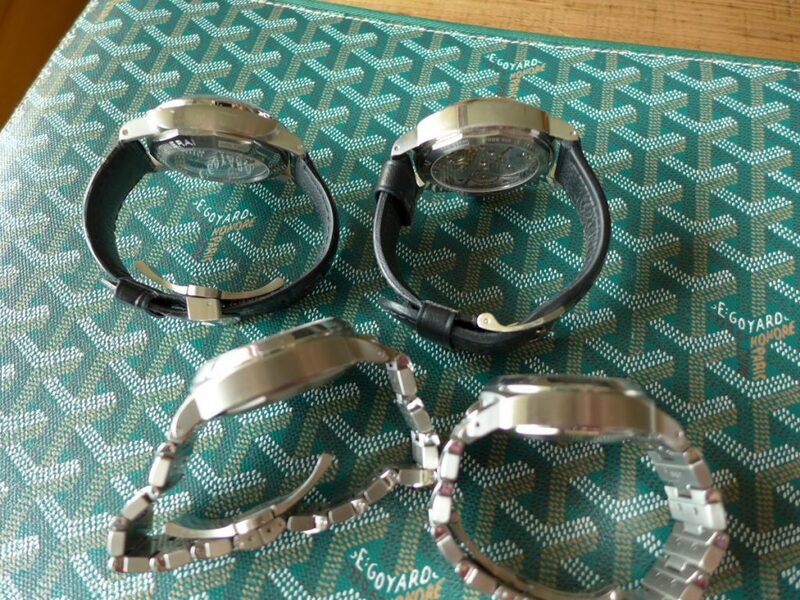 Some more pictures of the beast! 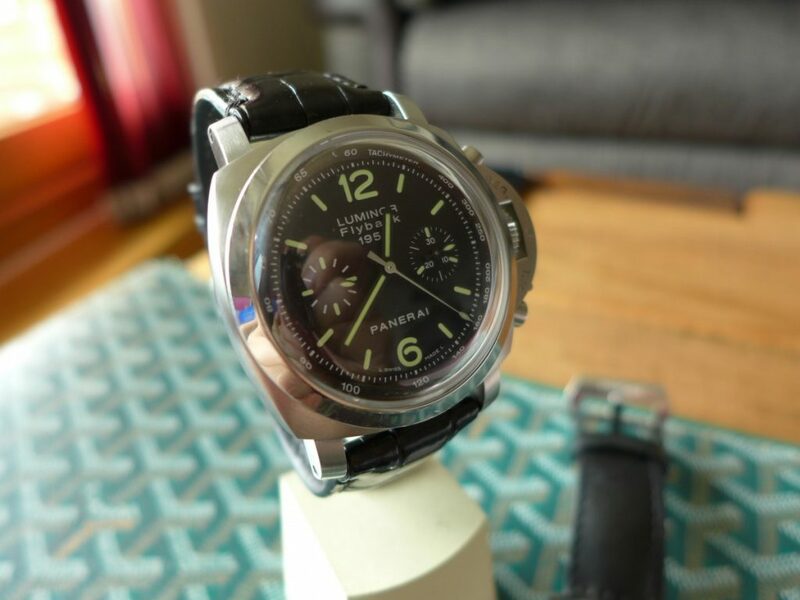 Next up is the Panerai Luminor 00090 this one is in a 40mm case in stainless steel and housed in the standard Luminor case. 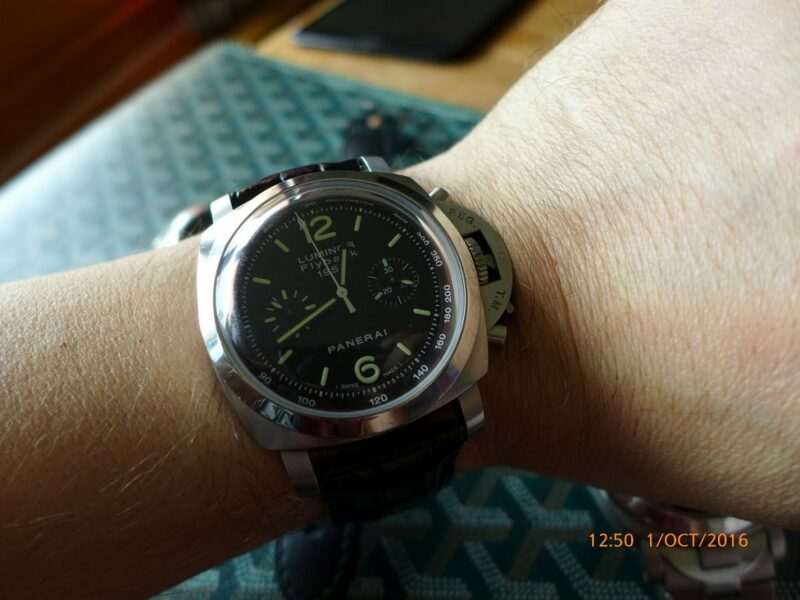 This has the date function at 3 o’clock with magnifier to blow up the date this is Panerai’s version of the Rolex Cyclops feature, Automatic movement with seconds hand at 9 o’clock. 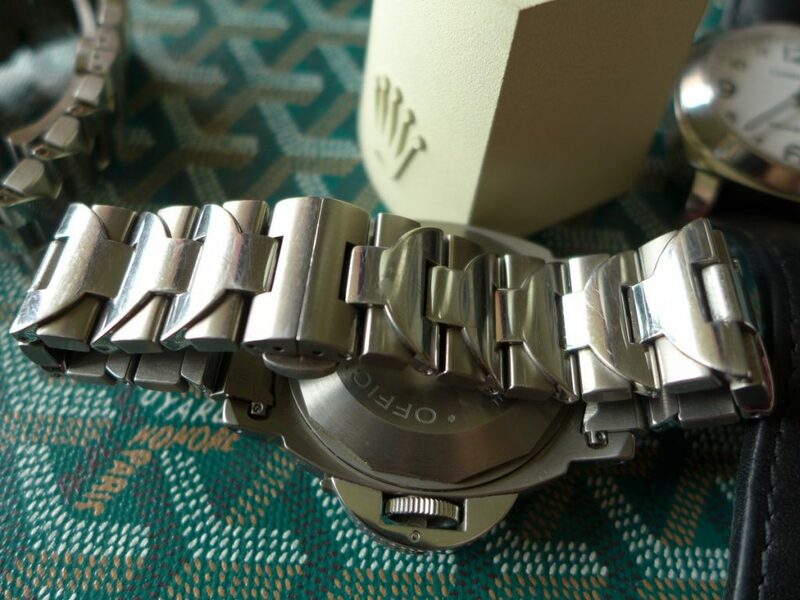 The strap is stainless steel polished centre links with brushed sides on a steel deployment, This style strap is like marmite you love or hate them I am rather fond of the bracelet to be honest. 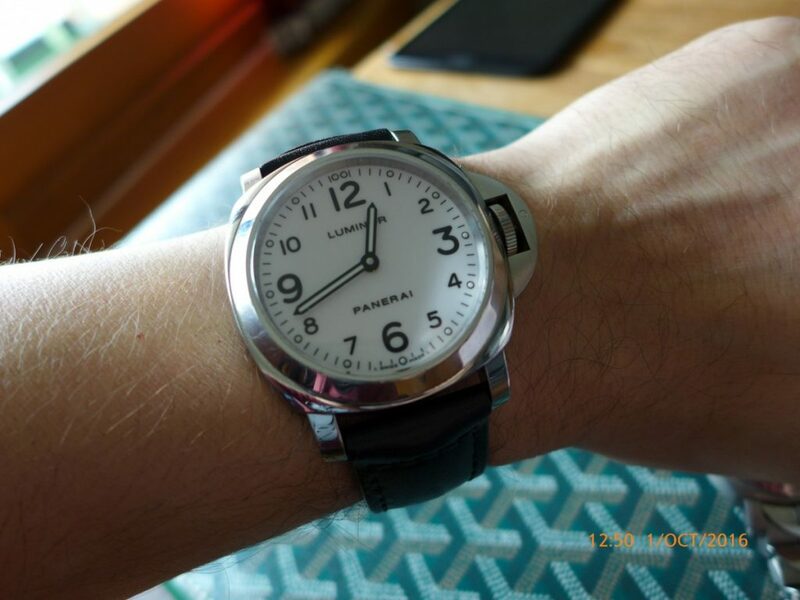 A great unisex watch as my partner actual wears the 00090! 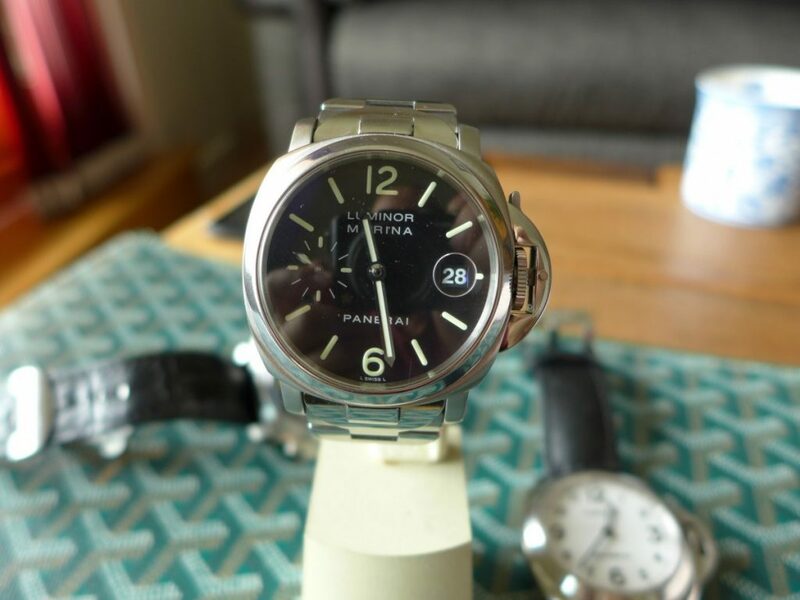 Next the Panerai Luminor 00114 White dial base model 44m manual wind movement is the a simple clean look standard panerai case and crown guard with stunning movement you can see through caseback on a leather strap. 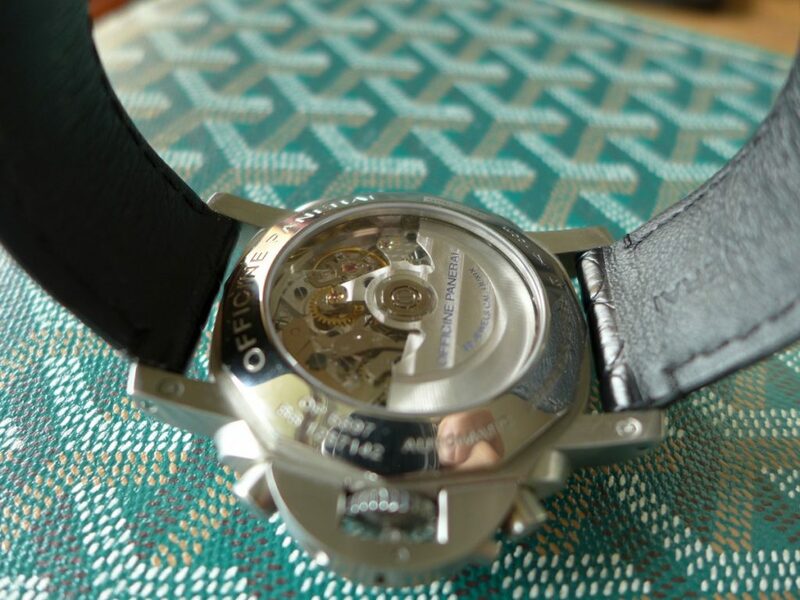 NO fuss or complicated mechanisms just wind and go. 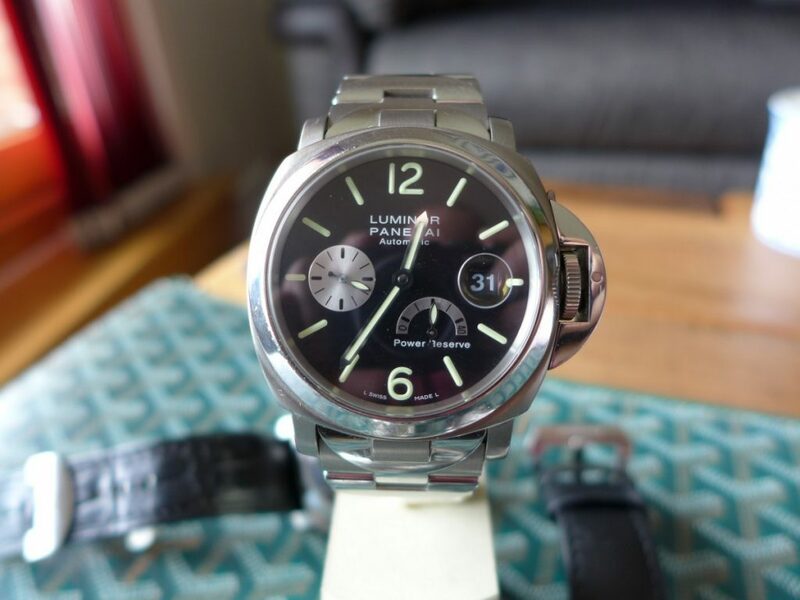 Lastly one of my favorites Panerai Luminor 00171 Automatic Steel and Titanium Power reserve 44mm on deployment bracelet very similar to the 00090 but with titanium mixed with stainless steel and a power reserve indicator on the dial. 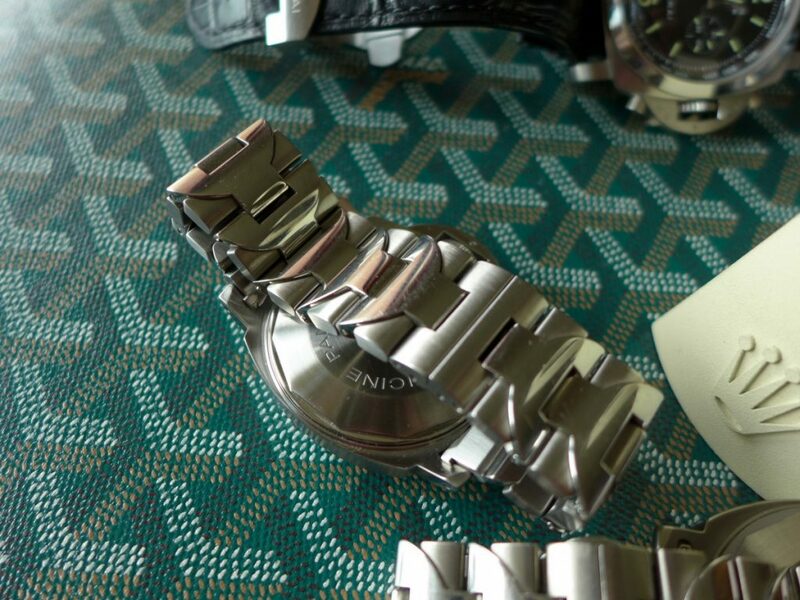 The date function is also an addition to this model but due the materials it is very light on the wrist with great super wrist presence. 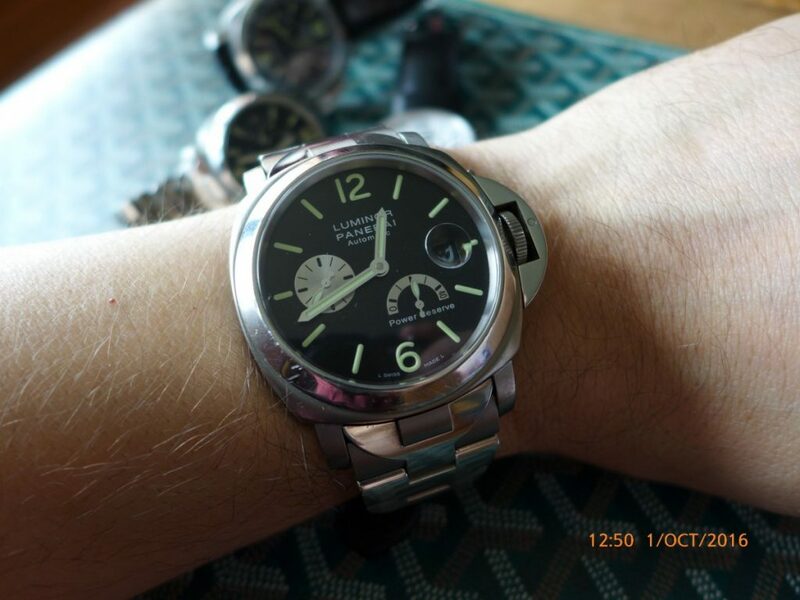 Panerai’s have been around a long time and years ago had links with Rolex another watch everyone should have in there collection for variety and versatility.